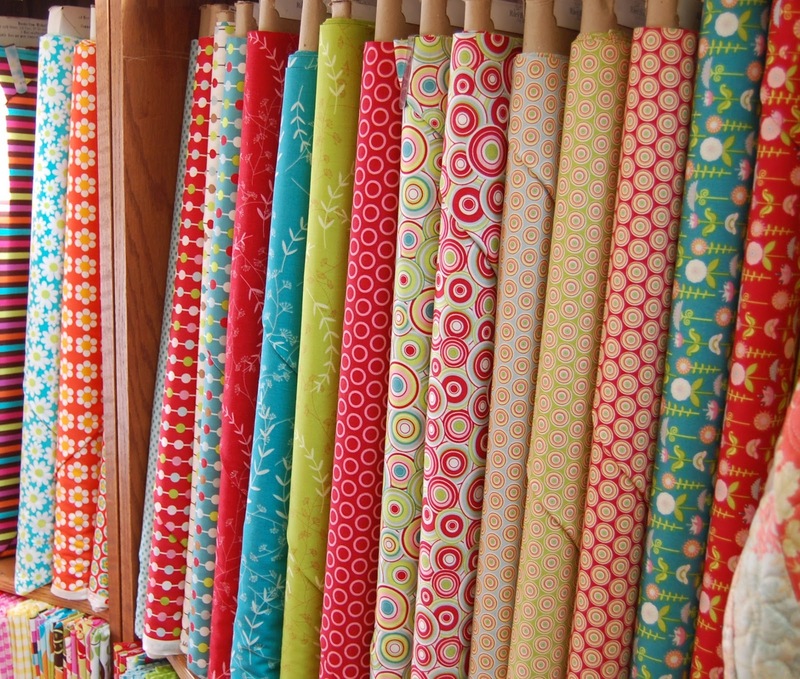 This excellent shop is for everyone who loves gorgeous fabrics. 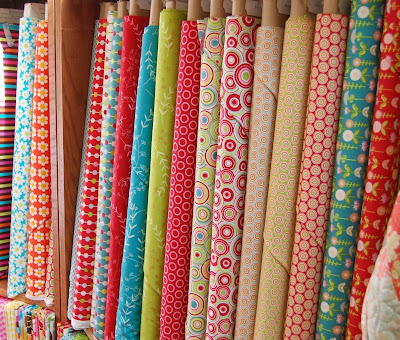 A walk through Elaine's Quilt Block is candy for your eyes and a quick fix for any quilt junkie. 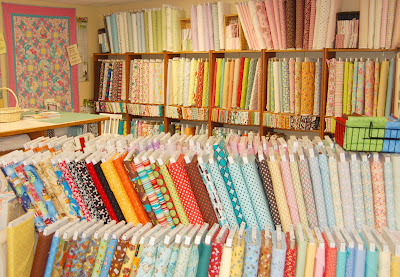 The fabric selection is huge and varied. Contemporary, Classy, Vintage or Sassy. The variety they stock is complete. Ten years into this endeavor, owner and manager Marilyn Cowan is still passionate about her business. With a mission statement of “Preserving the Art and Joy of Quilt Making”, she offers the tools and know- how to make it happen. Even the Federalist style of the building speaks of days gone by when handwork was a necessity rather than the luxury it is today. Marilyn honors her mother in the shop name, it was from her that she learned to love fabric. That appreciation shows in the range and period fabrics that are available. I’m a “Quilter”, but only just. I tend to make a lot of quick projects, and leave the intricate work for the real artists. Regardless of my ability, thankfully I have always been helped with my queries, and great advice is willingly offered from the knowledgeable staff. Elaine’s also offers classes in a variety of quilting techniques and the classes are limited in size to allow each student the best possible experience. Quilting and giving are often synonymous and in this aspect Elaine’s Quilt Block really shines. Each year the shop provides the fabrics and patterns for local enthusiasts to create a quilt for someone in need. Packets are prepared and distributed through the shop. Quilters stitch them up and return them completed. Last year the Asian Refugee Center received 100 quilts. This year’s recipient will be Adopt an Elder. Quilting is available, if you need professional quilting done and she even carries supplies for those sweet hemstitched receiving blankets that one can crochet the edges of. I’ve had them hemstitch my own choice of fabric, as flannel is also available in great variety. Oh and the bargain corner! I always check it out . I almost never find a dollar fat quarter I don’t like. entire quilt top cost just $9 bucks. Maci seemed indifferent, but her mama loved it! 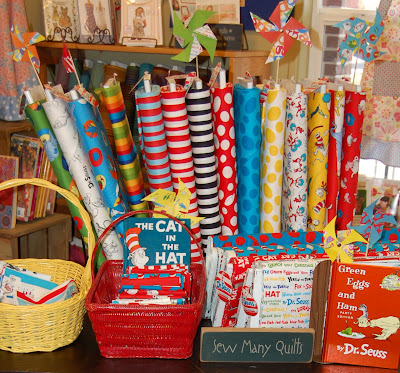 It’s a quilt shop, but don’t let “Quilt” in the name scare you off if you don’t indulge. If you want fabric for any project, Elaine's has one of the best collections in the Valley.